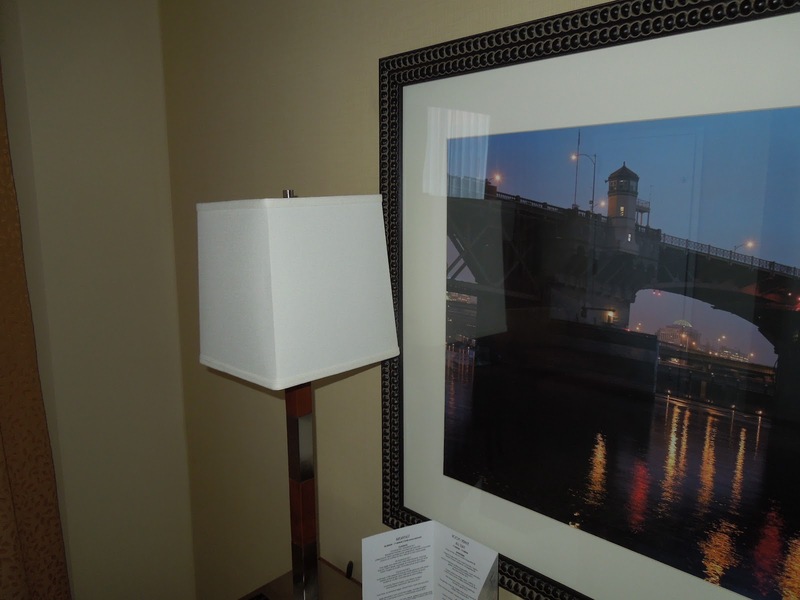 The Portland Marriott Downtown Waterfront Hotel is a place I’ve stayed countless times. When my dad was sick, I’d often stay here before an early morning flight back to Chicago. 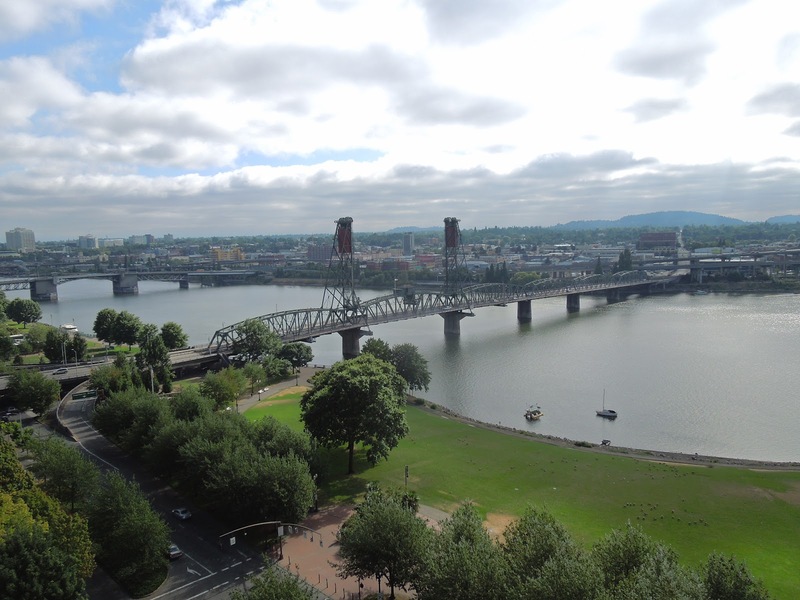 The location is great – right along the waterfront in downtown Portland and less than 15 minutes to the Airport. You can’t beat the location. One issue I’ve had lately with hotels in Portland is the price. I remember just a few years ago, I was able to find a nice hotel downtown for less than $150/night (often less than $120). Whenever I look now, everything is over $220. Portland is a real city so $220/night is not unreasonable – I just have an irrational problem with spending this much on a room in Portland (totally, irrational). We arrived and valet parked our car. The lobby had been renovated since my last visit – it was a bit dark but had a nice modern feel. We were assigned a king room on a high floor (which we had requested). 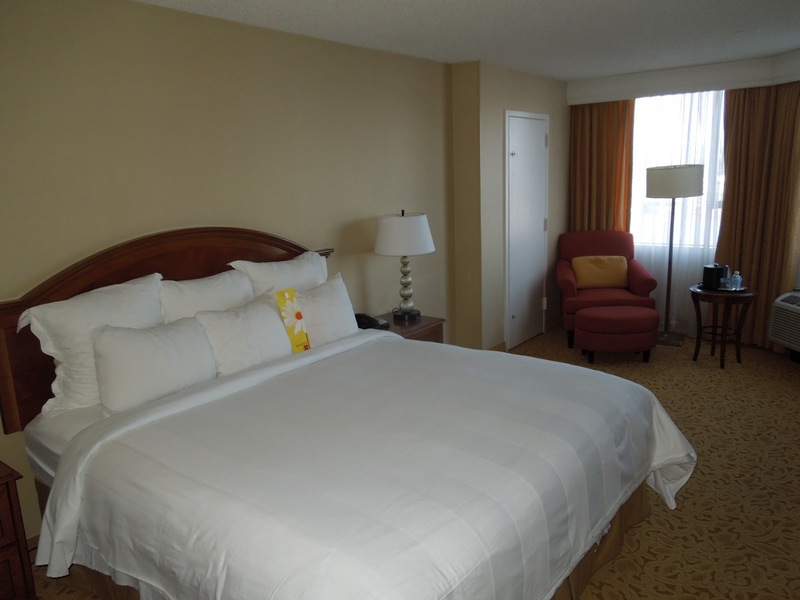 The room was clean (a nice surprise considering the recent hotels I’ve been in lately, like here). This was a pretty standard Marriott room. 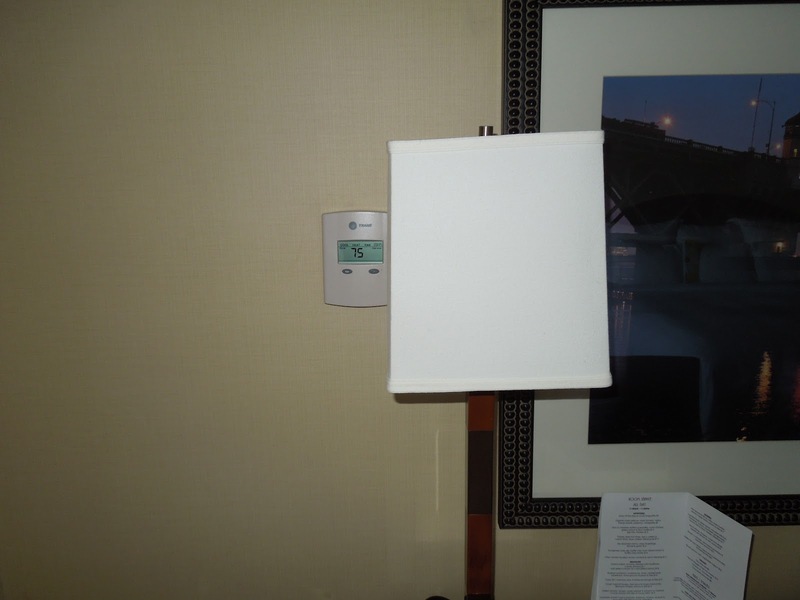 It took us sometime to find the thermostat — you’ll see from the photos it was hiding behind a lamp shade. You’ll also see this room had a door connecting it to the neighboring room. I really loathe this setup. 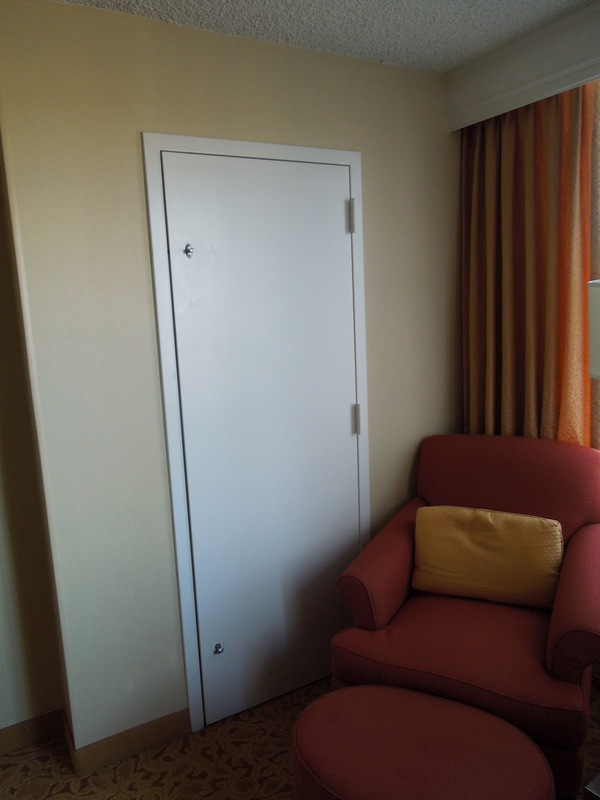 These doorways aren’t properly insulated, so you can always hear the people in the room next to you. Luckily this evening, the neighboring room was unoccupied. Whew. Where do you stay when you are visiting Portland? 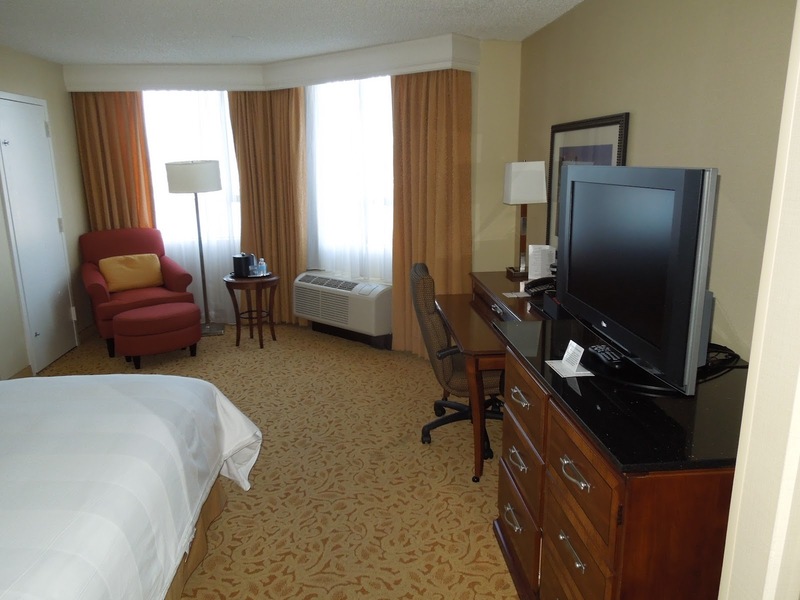 Do you find comfort in staying in a hotel that is pretty much the same at every location, no matter the City? By Tim in Travel on August 30, 2012 .